Jetson Green - Virginia Passive Solar Modern House Nearing Completion! Virginia Passive Solar Modern House Nearing Completion! Just recently, we mentioned Copeland Casati in regards to the launch of Green Cabin Kits, but I thought it was high time to take a look at her SIPs home under construction near Appomattox in Central Virginia. 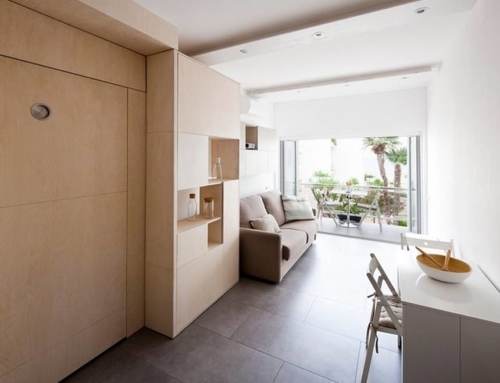 The home is actually a prototype of the Casa Ti house kit designed by architect David Day. Designed to be off-grid, net-zero energy, and modern, the home has 1200 square feet of space with three bedrooms. Right now, the exterior is pretty close to complete (sans natural landscaping), but when done the home will have radiant heat, rainwater collection, the benefits of passive solar design, and on-site solar energy, etc. Copeland tells us that without the systems, the home is so efficient that on a cold winter day, you can walk inside to a cozy 60 degrees or so. That's one of the benefits of SIPs construction … make sure to follow the progress and costs of Copeland's home through completion, or buy a green house kit for yourself. We'll check back when everything is done and complete with the stamp of being lived in. Photo credits: Green Modern Kits. Thanks for the interesting post! I love seeing the use of SIP’s catching on. They are catching on big time, but there are considerations that a casual article like ours here has not addressed. With SIPs, the design needs to pay particular attention to the quality of SIPs, fire safety, insects, ventilation, interior moisture, and interior air pressure and how the pressure affects equipment. Thanks for the update on this home, Preston… I have been keeping one eye on their progress since they first started, I can’t wait to see what this home looks like once they get the inside finished. 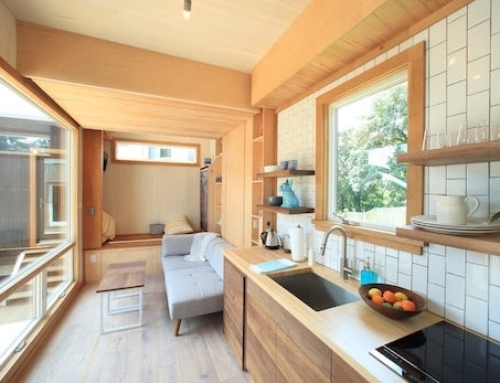 It has many of the features I love – SIPs, rainwater collection, and the interior can be finished any way you want…. Thanks for your interest. Preston you’re right about the SIPs- our architects designed all our house kits to not only incorporate passive solar technology, but the dimensions were tailored to make best use of the SIPs dimensions, therefore reducing waste. If you have more questions please feel free to ask away! I really find these interesting. I would love to live in a place or have a second house in the woods, etc that I knew didn’t have to rely on a grid where the electric can go out etc. I think more and more people are wanting to be self- sufficient.